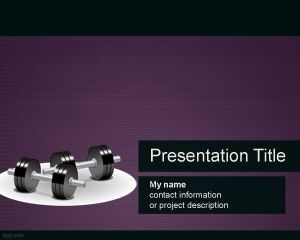 Free fitness PowerPoint template is a free violet background for sport presentations. 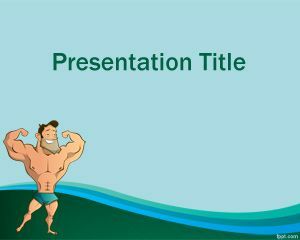 You can download this fitness PowerPoint template and background for presentations to be used in presentations on muscle hypertrophy or muscle growth as well to show bodybuilding techniques to make big muscles fast. It has an illustration of Weights in the cover slide. 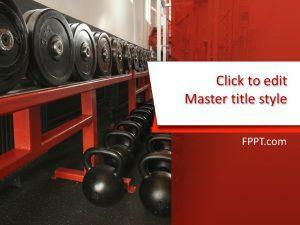 This free sports presentation is also good for gyms looking for PowerPoint presentations. 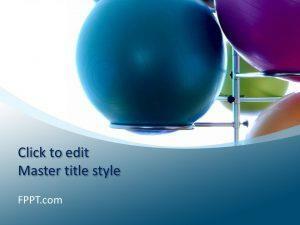 Free gym PPT template is also good for mind gymnastics and sport gym PowerPoint template. 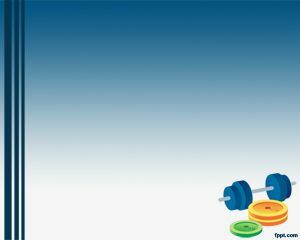 The slide design can also be used for other non sport related presentations including business presentations where weights images are suitable, but also for mind training or innovation ideas generation. You can also download the Microsoft PowerPoint templates for other presentations in Office PowerPoint.